I had a movie weekend — being inside to escape the heat of the day and the monsoon thunderstorms of the evenings. First up, despite the film being about music, I found Dreamgirls to be schmaltzy, poorly constructed, and pretty much unbearable. My friends who recommended it to me owe me a ticket to a show containing at least 97% fewer full-length, improbably placed songs in the middle of normal scenes. I also saw Bourne Ultimatum as a date with my Dad for his 60th birthday this weekend and it was absolutely fantastic. Bourne is my kind of man right there. He is practically omniscient (“In ten meters, turn left and bend down to tie your shoe! TIE YOUR SHOE!“), unbreakable, unbeatable, and he kills people with his bare hands even if there are, like, nine of them. It was a roller-coaster ride of a film that ended with a remix of the explosive Moby theme “Extreme Ways” that I had forgotten about but remembered the words to within the first 20 seconds (I would stand in line for this), a feat which impressed my dad greatly. He is always one of my biggest fans. Okay, click that play arrow immediately. Every once in a while out of the dozens of songs I seem to listen to in a week, something stands out in a big way — the kind of song that makes me stop everything I am doing and say, “What the heck IS that? !” This fantastic song from The Apparitions [from Lexington, Kentucky and Washington D.C.] has been absolutely at the tip-top of my playlists for the week. I think if you just listen, you will agree with me, and we can handclap around together and try to figure out all the words. As This Is Futuristic came out in January on Machine Records, and it is terrific. Dude, hand me a tambourine. The song that I heard raves about off this album from Canadian Jeremy Fisher is track 3, “Cigarette,” which boasts one of the best choruses of the summer. But this song is the opening track, and is just so filled with infectious ’60s/’70s pop goodness — think Monkees meet Neil Diamond’s “Cherry” in a modern and non-cheesy way that absolutely makes you want to sing along. 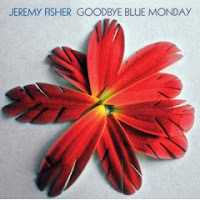 Goodbye Blue Monday is a refreshing album from start to finish, and finally gained U.S. release two weeks ago (on Aquarius Records). Check it out. The obvious vocal comparison as soon as you hear anything by Detroit’s Deadstring Brothers has to be the bendy-voiced swagger of Mick Jagger, but they also experiment with strong female harmonies (and she occasionally takes the lead) and have a wonderful rollicking sound all their own. I loved their Starving Winter Report (2005) and have listened to “Sacred Heart” off that album 86 times, according to my iTunes. This is more sloppy fabulousness from “the new high priests of soulful rock ‘n’ roll.” Special thanks to Songs:Illinois for this first preview off their newest rootsy-country romp, Silver Mountain (October 8, Bloodshot Records). 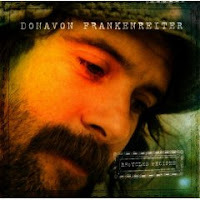 I do like Donavon Frankenreiter‘s echoey-folksy voice, like he’s a troubadour transplant from a few decades past. I enjoyed the Venice-Beach-meets-Stax Records-funk sound of 2005′s Move By Yourself, and he’s done some nice collaborations and soundtrack contributions in recent years. But it is a fraught-ridden endeavor to release an EP of covers of well-known and well-loved songs (his new Recycled Recipes, on Lost Highway) unless you radically rework the tunes like, say, Cat Power or Mark Ronson. This Wilco cover is servicable, but I think that’s more due to the quality of the original song than anything he necessarily adds to it. Hate to say it, but stick with originals. Grace Potter is 24 year-old firecracker, a consummate performer & band frontwoman who has a voice that sounds much bigger and surer than her years should allow. Reminiscent of bold rockers from years past like Janis Joplin with inflections of Bonnie Raitt (who makes Ryan Adams cry), this is an album custom-built for playing loud with the car windows down. It’s been a while since I spent time with an album like that, and I only wish it had been released earlier in the summer. This Is Somewhere is her third release, it came out last week on Hollywood Records, and my friend says he wants to convert to that sect of Mormonism that allows polygamy so he can make Grace Potter his second wife. Good luck with that. Tagged with deadstring brothers, donavon frankenreiter, grace potter, jeremy fisher, monday music roundup, the apparitions. True, the music doesn’t live up to the possibly linked (?) great girl group like the Supremes (seriously, “we are a family like a giant tree” lyrics? ouch), but the vocals were powerful nevertheless. Maybe you’ll give it another chance? Sofiblu, I wanted to like it, expected to like it. I found the characters to be thinly developed. They tried to cover waaay too much ground (a decade) in 2 hours and the jumps seemed jarring. I didn’t care about the characters or their relationships with each other. I didn’t believe them. You are right the Eddie Murphy was fantastic and played his part to perfection, and I was proud of Jennifer Hudson, who I understand was on Idol. But overall, it struck me as fluff, more concerned with fashion changes from the various eras, and less meat. The songs were “yikes” and everytime they kicked into another full-length vocal number I wanted to fast forward. Good call on the Jeremy. It’s a wonderful album start to finish. Here’s a little tidbit: Hawksley Workman, who produced Jeremey Fisher’s album and has the voice of a demi-god, has a swaggering summer-y song called “Jealous of Your Cigarette.” Ta daaa! Not a biggie – probably just a typo, but the moby song, which has served as the “unofficial theme” of the Bourne movies – is “Extreme Ways”. I believe the video for the song (from “18″) included shots from the first film. it’s a great song. interesting: moby did the theme for this movie, and retooled the bond theme. point: moby may or may not be an international spy. who drinks a lot of tea. thanks hipster….that must be why it sounded so familiar, I should’ve googled it first and never trust my memory. GRACE POTTER! Seriously, love love love that band. If you’ve never seen them live, you absolutely have to make it to a show. They’re so much fun live, and I know they’re on tour this fall. I’m about 95% on making it to either the Boston or Northampton stop. Lauren, yeah I saw her last year at the Boulder Records & radio conference. It was a shortened set in a bajillion degree venue, but I remember she was awesome and charismatic. Heather, you’ve probably already heard Nothing But the Water….also a great Grace and the Nocturnals album, probably more blues/gospel than rock…This is Somewhere is a lot more mainstream friendly…imo of course, and that’s not a bad thing either. Possibly future untapped potential equal to that of Ryan’s..could be one of the all-timers. I’ll see you in Northampton (as long as my “Conversion” duties don’t call). dreamgirls = not good and jason bourne = hubba. i am happy yet not surprised to learn that we share those thoughts. Oh, no, that Frankenreiter cover of “Theologians” is nice – all cool, laid back and soulful. No need to choose when you can have them both. 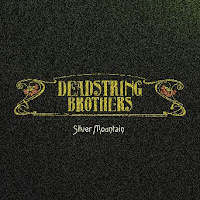 How have I missed the Deadstring Brothers? Well, there’s another chunk outta my emusic downloads for the month. Nice selections, Heather. I don’t understand why Jeremy Fisher is not more popular. His videos on youtube are amazing as well. Good post. have you already taken down the frankenreiter cover? i’d love to get it from you if you still have it up. 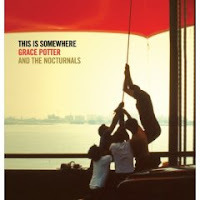 Grace’s new album is fantastic, the entire album just works really well. I agree with the above comments – she’s out of this world in person. I saw her after she did three appearences on TV and was running on three hours of sleep, and they still blew everyone away with the amount of energy that they had. Great site…I’ve been hooked on it for about a month now. Imagine my surprise when I saw you had the Apparitions as recommended music…I went to high school with those guys! Great great music…also check out Vandaveer….the lead singer’s side project. You will truly enjoy.